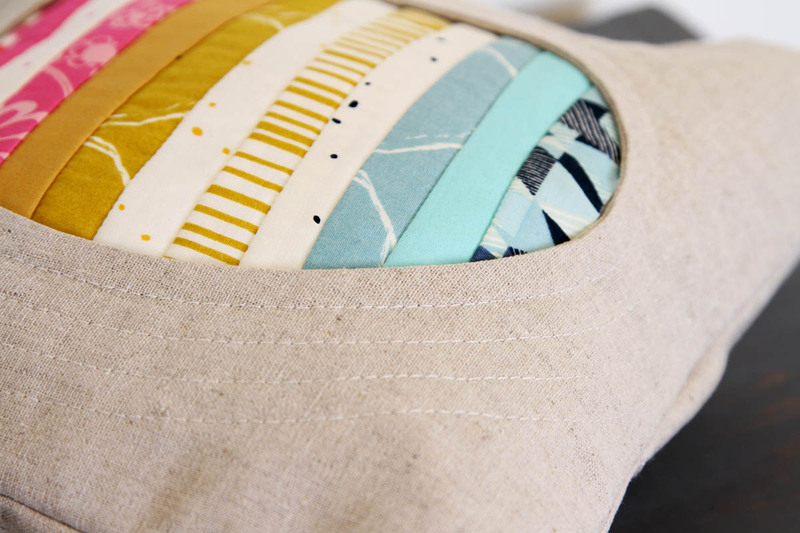 The Spring Tidings decorative pillow was sewn on a BERNINA 380 and features Essentials II fabric, a collection designed by Pat Bravo. The Essentials II fabric collection has three bright and vibrant color ways. 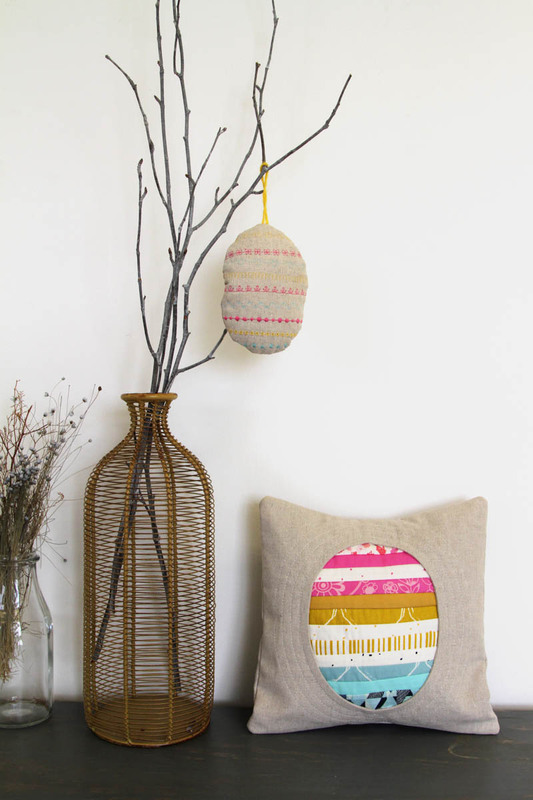 This fabric collection has lovely shades of pink, blue and yellow with prints that range from innovative textures to graphic florals. 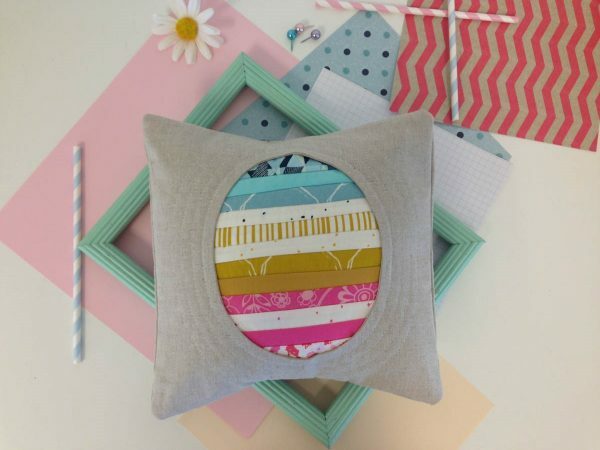 Essentials II is perfect for spring time sewing ranging from home decor projects to apparel as well. 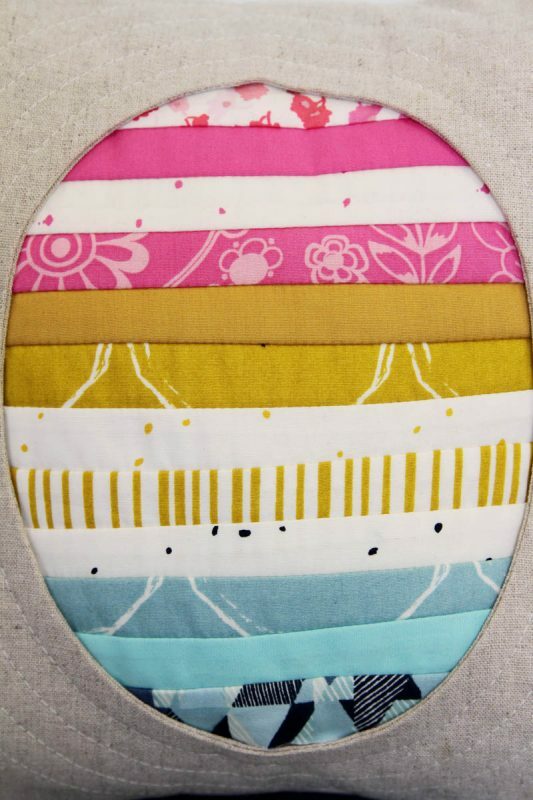 In the Spring Tidings Pillow project we learn to create decorative stitches and to quilt as you go. The Spring Tidings pillow project makes the cutest decorative throw pillow to showcase in your home during Spring. 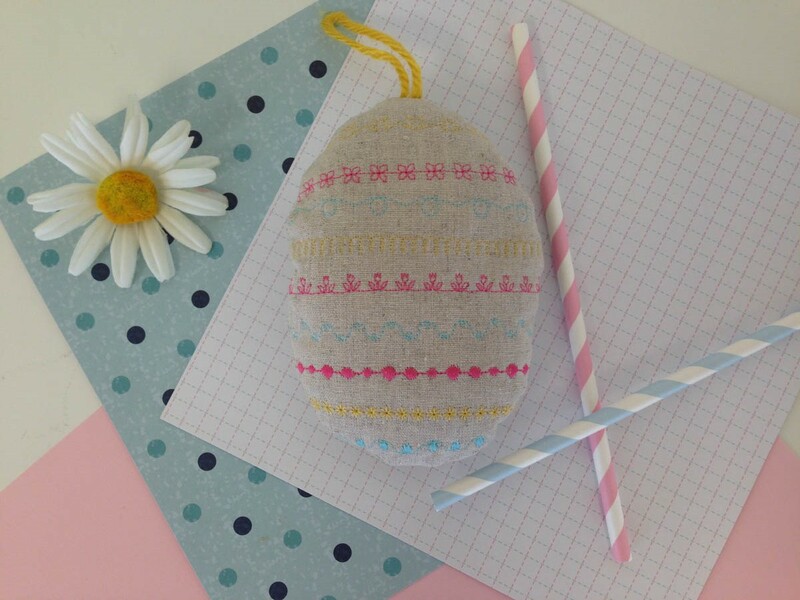 In addition we will be making an egg ornament from the scraps of our pillow. The ornament will make perfect party favors and is a good way to practice your decorative stitching.